Professor Layton vs. Phoenix Wright: Ace Attorney is a visual novel adventure puzzle video game for the Nintendo 3DS, and was developed by both Level-5 and Capcom. The game is a crossover between two games series from both developers, combining the puzzle and exploration elements of Level-5's Professor Layton series, and the general trial mechanics of Capcom's Ace Attorney adventure series, the latter enhanced by the addition of a few new elements. 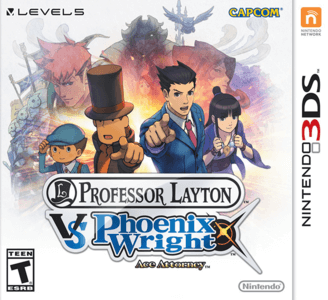 The game follows Professor Layton, Luke Triton, Phoenix Wright and Maya Fey as they attempt to solve the mystery of Labyrinthia. Professor Layton vs. Phoenix Wright: Ace Attorney performs quite well on decent hardware, though slowdowns are expected. The game doesn’t have any graphical or sound issues with Citra.